A central globe comprised of cut-glass crystals is orbited by an elegant cage design, with each element featuring carefully crafted detailing. 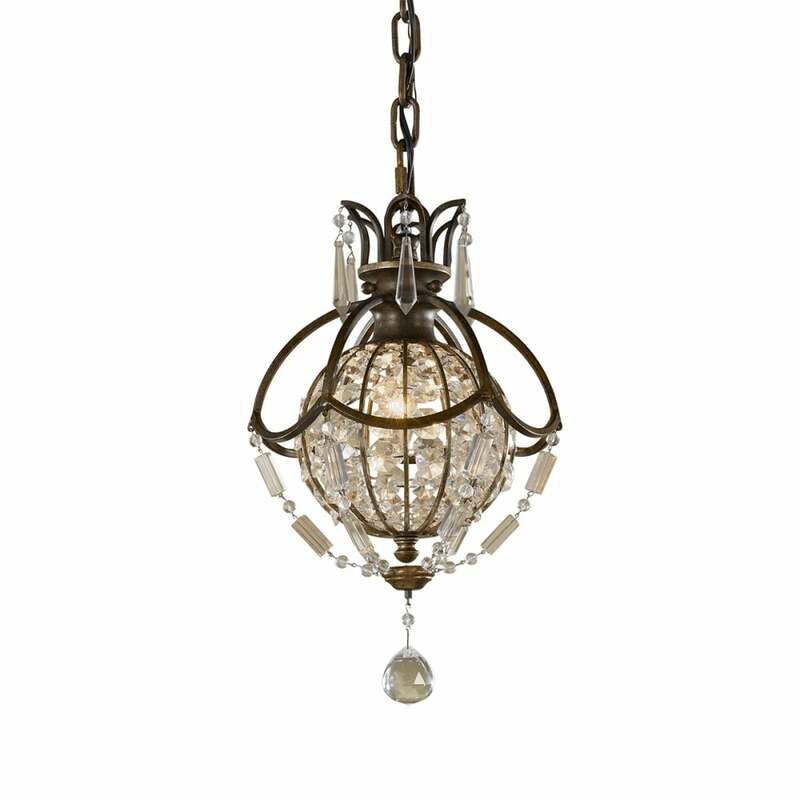 A large crystal drop beneath the design lends sophisticated sparkle. Matching wall sconces available. This stunning range includes 3, 4 and 6 light chandeliers and a mini pendant with accompanying wall sconce. View All Feiss for more information on Bellini or view the complete Bellini Collection. - Supplied with 1500mm of chain.